Wireless adapters are a very important component of any gamer’s arsenal, but gaming newbies may not even realize that a new wireless adapter just might be essential to your gaming success. In its most basic definition, a wireless adapter is a device that connects to a wireless network, overriding whatever built-in wireless hardware that you may or may not have in your gaming computer. This is a complicated issue, as many experts do not recommend connecting wirelessly to the Internet while gaming at all. Instead, they recommend using a wired connection. That said, many people like to play games on the go, meaning that a wireless gaming adapter is a necessity. Is an antenna a good idea? But what’s the best way to go about choosing the right wireless adapter for you? Well, the first step is knowing precisely why you need one. The fact is, just about every new computer these days comes with a wireless card pre-installed. This is part of why many people don’t even think to look into purchasing a wireless adapter. It’s an important step because the pre-installed wireless card that comes packed into most computers is often a generation or two behind current trends. 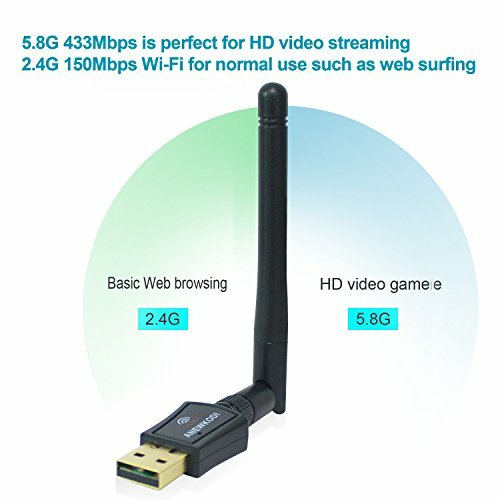 Therefore, while it may be conveniently packed in, the wireless card that comes with your computer may not be the most top-of-the-line version and therefore not the best USB WiFi adapter for gaming. According to Ookla’s popular Speedtest app, a computer with a stock wireless card recorded a download speed of about 29.25 megabytes per second when measured by the app. The exact same computer on the exact same connection recorded a download speed of about 109.51 megabytes per second when using a wireless card. This should demonstrate the power and importance of a wireless card. When it comes to choosing an actual wireless card, a variety of considerations should be made before buying. Don’t judge an adapter by its appearance. You should look at the specifications on the adapter’s box or website. Specifically pay attention to the wireless protocols the adapter supports, which generation of USB port it supports and what bands it is able to use. You should cross-check this information with the specifications of your gaming laptop to ensure that the wireless adapter you’re wondering about can actually be used with your computer. This will be valuable step in picking the best WiFi adapter for gaming. MU-MIMO is an important specification to consider as well. 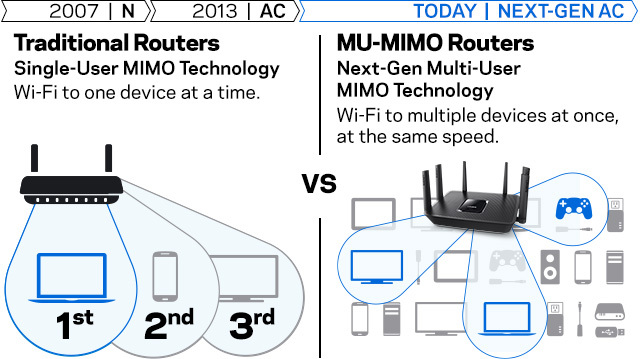 MU-MIMO stands for “multi-user, multi-input, multi-output” technology, which essentially gives a wireless router the ability to communicate with multiple devices at the same time. This is especially important now that most families and households have a wide variety of devices that connect to the internet wirelessly, including phones, televisions, media devices such as Apple TVs and Amazon Fire TVs, video gaming consoles and, of course, computers. The reason that this is so important is the fact that most standard wireless devices cannot be connected to more than one device at a time. These are called SU-MIMO devices, the “SU” standing for “single user.” When you use a MU-MIMO-capable wireless router or adapter, your devices can all connect at the same time without the need to wait in line. “Beamforming” is a word that gets thrown around a lot when talking about the latest trends in wireless technology, but what does it even mean? Wireless routers often tout their beamforming capabilities as ways to significantly improve wireless reception and reduce interference, making your connection stronger and your wireless service that much better. Simply put, beamforming takes your wireless connection and sends it in a specific desired direction. Routers normally take data and send it every which way. Beamforming detects where your wireless-using devices are and sends the wireless signal directly to them. This way, your valuable bandwidth is not sent in directions where wireless devices are not located. 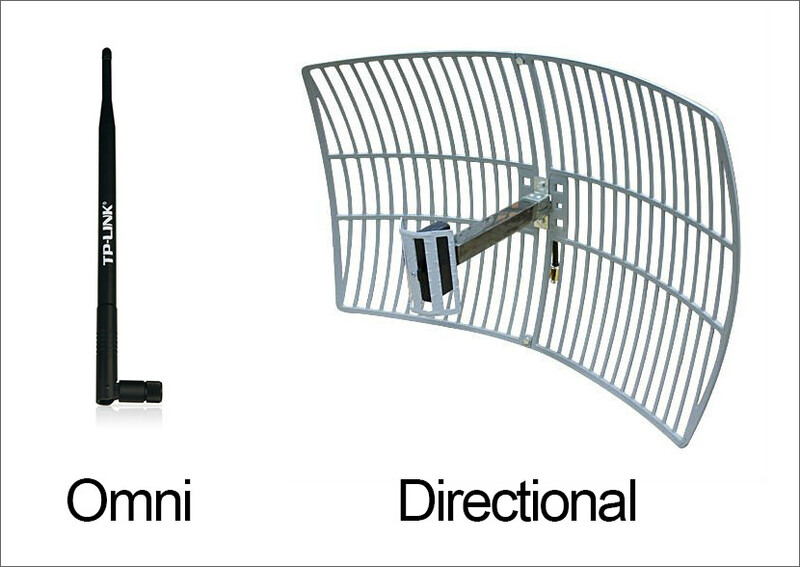 Beamforming essentially targets your reception in order to use it more efficiently. Beamforming simply represents another way, in addition to using a wireless adapter, to amplify and augment your wireless reception. When researching wireless devices, the terms “USB 2.0” and “USB 3.0” might be thrown around a lot. Simply reading into the names of these capabilities doesn’t quite provide enough information to know what they are. 2.0 is less advanced than 3.0, of course, but there’s a lot more to it than that. First released in April of 2000, USB 2.0 provides transfer speeds of 480 megabits per second. USB 3.0 provides much faster speeds, about 10 times faster to be exact, totaling out to about 4.8 gigabits per second. It can send and receive data simultaneously, which USB 2.0 cannot do. USB 3.0 takes more power to use, but it is also more efficient in using this power than USB 2.0. As USB 3.0 has become more widely used in the years since it was first introduced, but it is still not supported on every device on the market. This is part of why it’s important to check if your device can handle USB 3.0. When it comes to speeding up your gaming WiFi adapter, it’s important to note that you can get the fastest USB WiFi adapter by looking for one that supports USB 3.0. If your hardware supports USB 3.0 and you can afford a WiFi adapter that uses USB 3.0, then there’s really no reason to not go this route. The only real downside is that USB 3.0 tends to cost a bit more. 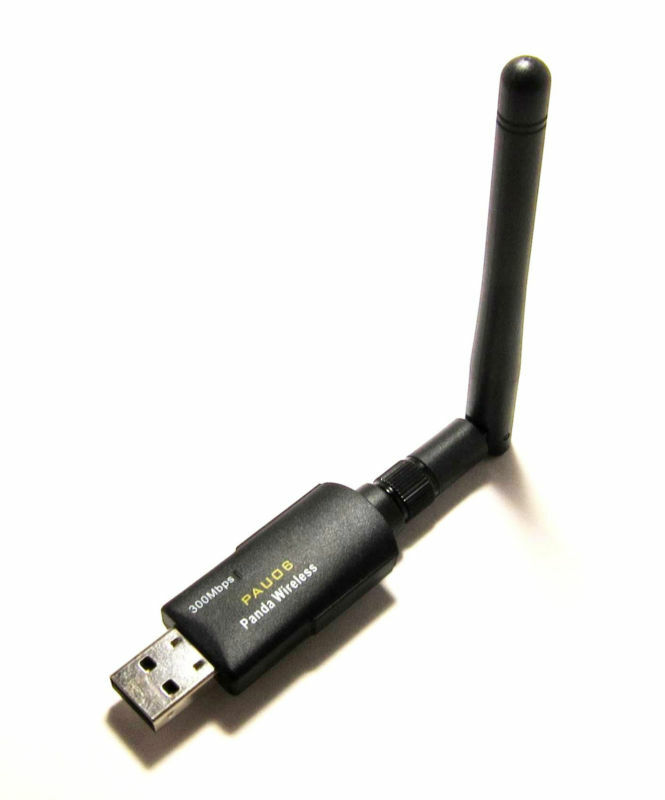 There are a couple of types of antennas to consider when choosing a wireless adapter. First of all, however, you need to consider if you need an antenna or not. 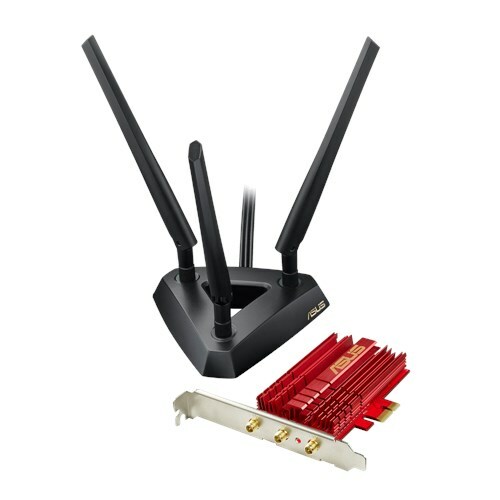 If you have your wireless router in the same room as your computer and wireless adapter, you probably don’t need an antenna. It will strengthen the signal, sure, but having the two components in the same room already goes a long way toward upping your speeds using the best WiFi adapter for PC gaming. 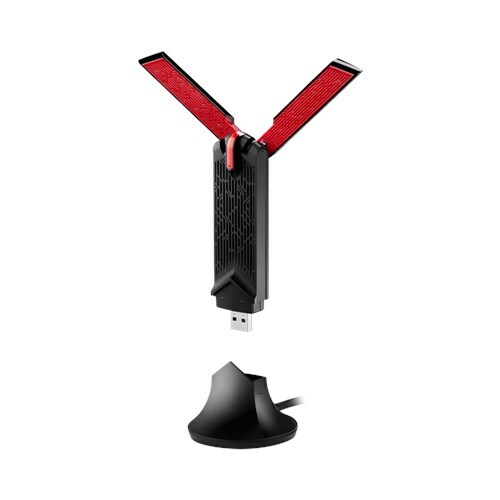 The most important action to take pertaining to wireless adapter software when choosing and using your gaming PC with WiFi in conjunction with a gaming WiFi card is to keep it updated. Each card comes packed in with its own software, and it’s important to check often for new downloads and updates online to ensure that you’re getting the best performance out of your wireless adapter. There are two primary kinds of wireless adapters that are best for gaming: a gaming Wifi card and a gaming USB WiFi adapter. The fundamental difference between these two kinds of adapters is rather simple: one is a card that you install in your computer and the other is a USB plug-in that you insert into one of your laptop’s USB ports in order to augment its WiFi capabilities. A PCI wireless adapter card connects to your computer’s PCI bus. This component is contained within the computer, meaning your machine must be opened up and tinkered with. In a notebook computer, these adapters tend to be about the size and shape of a credit card. The adapter houses a small antenna to capture the wireless signal, and the adapter itself can be inserted via a slot on the side of your laptop. It’s important to do your own research in order to determine which is the best WiFi adapter for PC and the best USB WiFi adapter for your own needs. Everyone’s computer varies, so which is best will depend on what kind of hardware you are running. This guide will show you some examples of candidates for the best WiFi card for gaming and the best gaming wireless adapter. Consider them carefully so you can choose the best WiFi card for your needs. Windows 10/8/7/Vista/XP/2000, Mac OS 10.4-10.12.4. 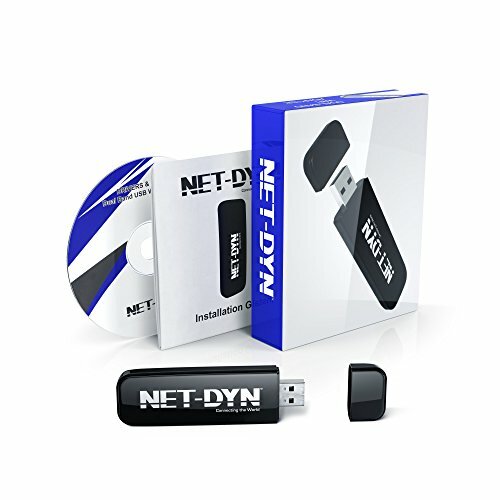 NET-DYN’s Top Dual Band USB Wireless WiFi Adapter is perfect if you are looking for the best WiFi adapter for Windows 10. Setting this one up on Windows 10 is reportedly a very easy task, making it a strong candidate for the best wireless adapter out there. Its installation can be difficult, but it’s easier on Windows 10. This adapter is offered with a lifetime warranty and promises to get rid of spotty WiFi dead zones throughout your home, in addition to helping you create a secure wireless network throughout your home. 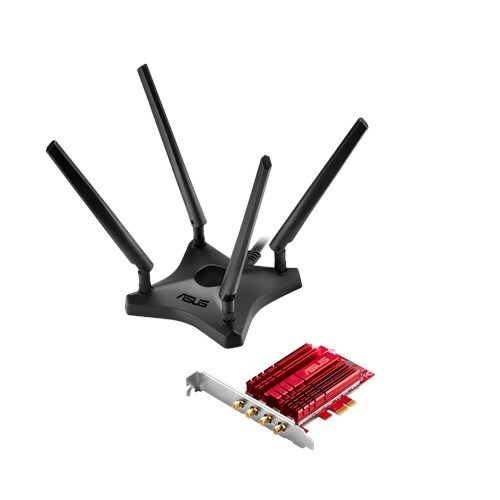 This offering from ASUS is a candidate for the best WiFi adapter for desktop computers in order to get rid of the tangled ethernet cords on your desk to make way for clean wireless throughout your home. It extends your existing WiFi capabilities and helps create the very best gaming PC with WiFi by augmenting the reach of your wireless network. 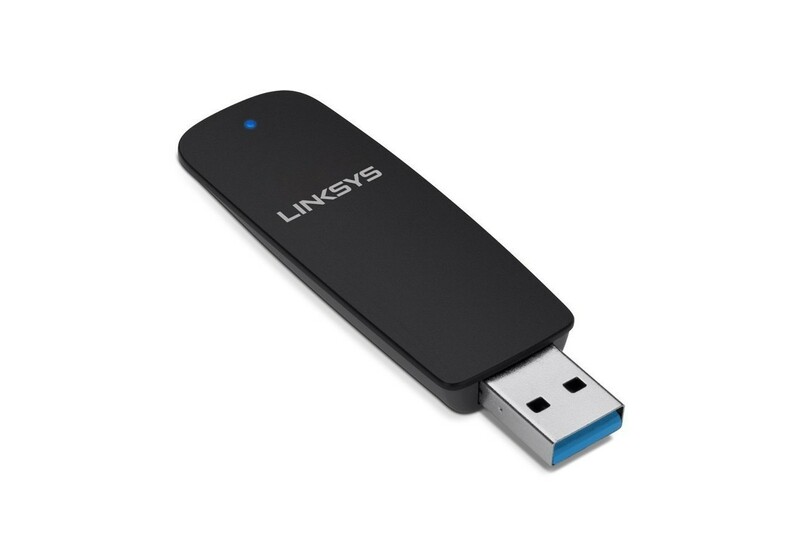 Reviews report that this is a great wireless adapter for desktop computers, but they also report that you shouldn’t install the existing ASUS drivers and setup utility; rather, you should just let Windows do its thing and install the drivers automatically. This adapter has many positive reviews, and it is definitely an example of a candidate for the best PCI WiFi adapter. This wireless adapter from ASUS 4x4 802.11AC Wireless-AC3100 PCIe Adapter (PCE-AC88) is another that you shouldn’t install drivers for prior to using. Some reviewers report that the SpeedTest results on this router are far better than expected and potentially even faster than advertised. The adapter itself boasts 60-percent faster WiFi on a desktop computer. This adapter has also gained some fame in the industry for being the first-ever 4x4 wireless adapter, meaning it touts four antennas to bring unrivaled reception capabilities. These antennas can be placed anywhere on your desktop computer. This adapter also boasts some very positive reviews, some of which are very similar to the previously mentioned ASUS USB-AC68 Dual-Band AC1900 USB 3.0 Wi-Fi Adapter with Included Cradle . This is simply an upgraded version, and some of the same things are true with regards to installing drivers (or, in this case, not installing drivers). This one has USB 3.0 packed in, and it works very well with Windows 10. 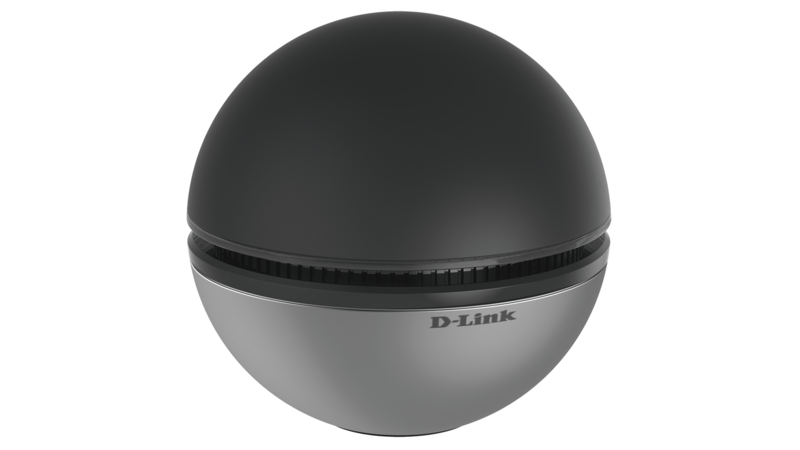 Also boasting USB 3.0, this offering from D-Link is popular because it allows your wireless network to operate at full capabilities. One reviewer reports using this in a room with terrible WiFi access and seeing a complete improvement after installing this D-Link adapter. Another reviewer simply says “Don’t hesitate, just purchase it,” a ringing endorsement for this adapter and one of the many reviews that make this a good candidate for the best wireless network adapter for gaming. This offering from Glam Hobby OURLINK is a very compact USB option, with many reviewers reporting that it works great with Windows 10. It supports 802.11 ac standard, the next generation of WiFi, and it runs far faster than other comparable adapters on the market. It allows the creation of a hotspot for mobile devices when only a wired connection exists. Carrying the appearance of a USB flash drive, this model supports pretty much any version of Windows you could ask for all the way back to Vista, and it allows for very fast HD video and gaming output. Microsoft updates can cause problems with this adapter, but that doesn’t stop reviewers from raving about their success, especially when it comes to speeding up outdated computers. 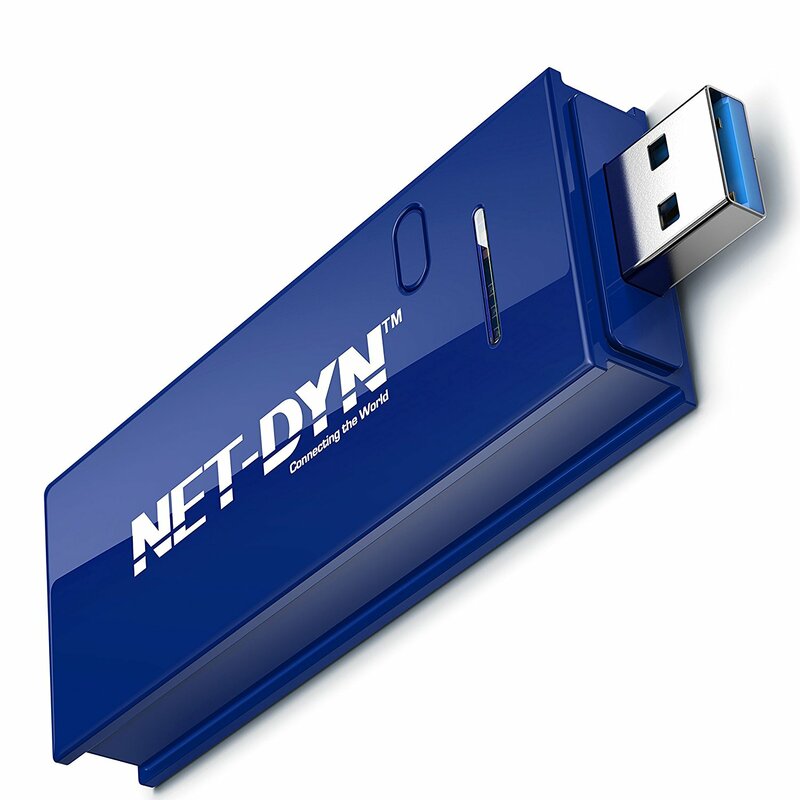 Another offering from NET-DYN, this adapter is also a solid candidate for the best USB wireless adapter for gaming due to its lifetime warranty and fast setup time. 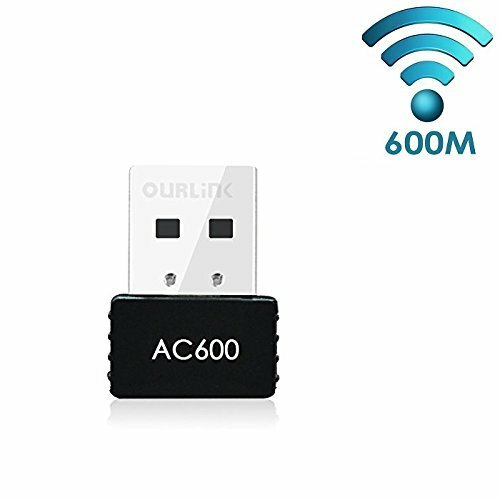 Customers are very satisfied with this adapter’s ability to speed up their computers both new and old, making this yet another great option for speeding up your wireless capabilities. This one also boasts very fast speeds, partially due to the very prominent antenna attached to it. The dual band capabilities are something to consider, and the price is certainly right. Many customers report that installation is difficult, but this adapter’s ability to make your older computers faster using WiFi is certainly a plus. Finally, Panda’s option is very cheap, and the reviews are very positive for this antenna-carrying adapter. It might take some software-wrangling and troubleshooting at times, but that can be said about many of the options here. If you are looking for an inexpensive option, look no further than Panda’s PAU06 adapter, perhaps the cheapest and best wireless card for gaming. To cap it all off, make sure you look into each of these options in order to ensure that they are the best for you before purchasing. Many of them can make your old hardware run faster, which is definitely a plus if you aren’t looking to purchase new hardware before gaming. Make sure you research the best PCI WiFi card as well, as there are even more options than the ones featured here. Also, research how to jam WiFi. There are many ways to accomplish your goal of faster WiFi; all it takes is some research. This article should go a long way toward getting your started.